To me it's not the holidays if there isn't a little baking involved. 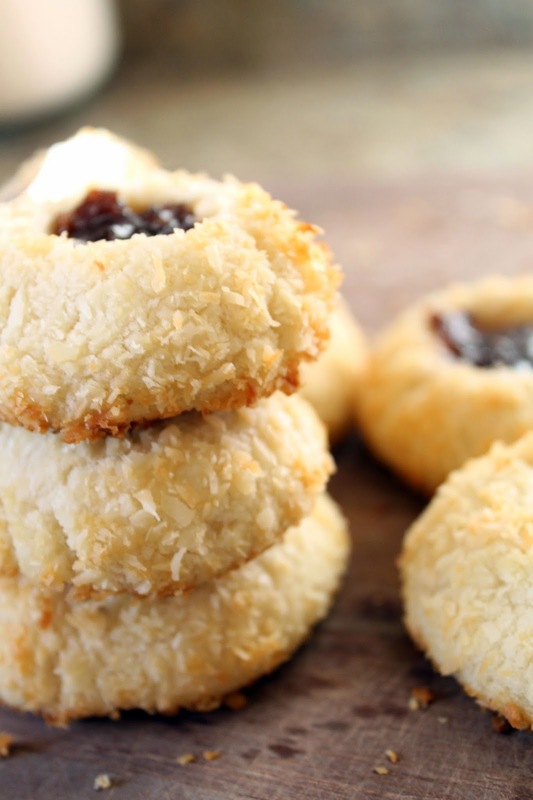 These shortbread jam cookies are the perfect holiday treat. 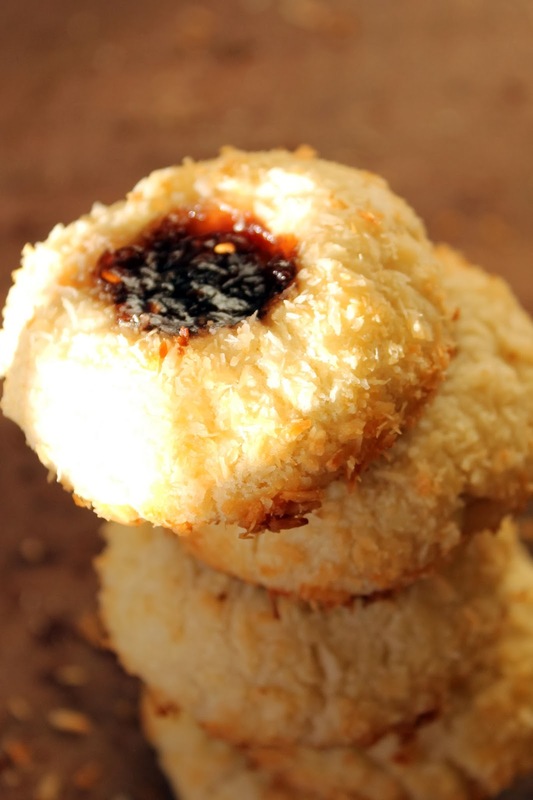 They are relatively easy to make (no rolling involved), and look festive with the red jam centers. I made these a few years ago for my husbands family, and had a craving for them last week. I love how buttery and crumbly shortbread is. 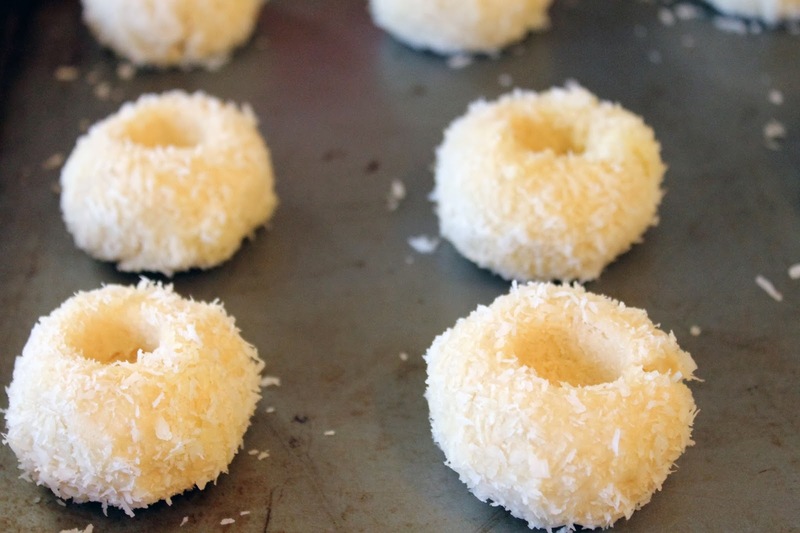 Plus, when you roll it in coconut, you have a winning combination. In a mixer, cream together butter and sugar until they are combined. You want them to almost double in size and turn a light yellow color. Once fluffy, beat in vanilla extract and salt. Then, slowly add flour. Mix until the dough comes together. Turn dough out on a floured surface and work into a flat disk. Wrap the dough in plastic wrap, and chill in the fridge for 30 minutes. 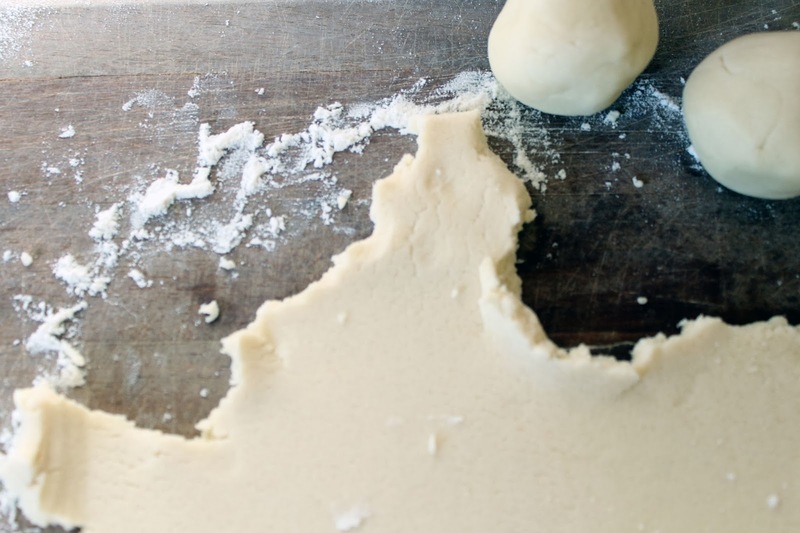 Once dough is chilled, roll the dough into 1 inch balls. Dip each ball into egg was, and then into flaked coconut. Place the balls onto a cookie sheet and make a small indentation into each with your index finger. 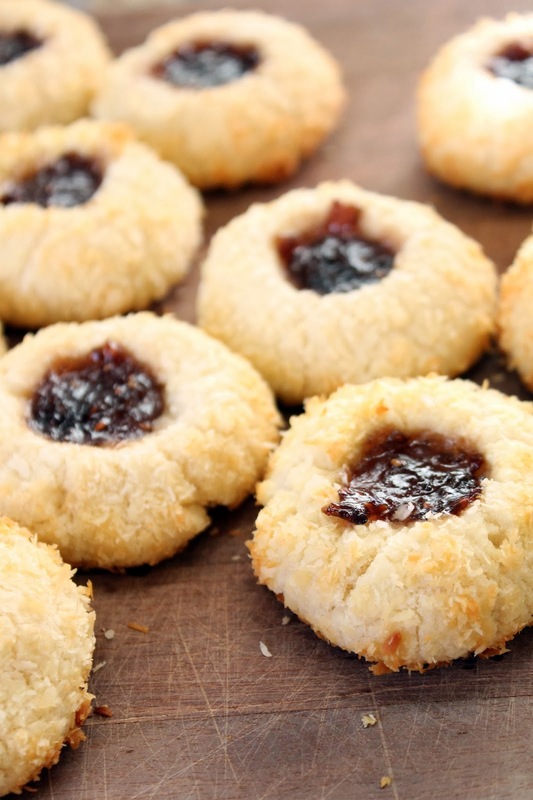 Place 1/4 teaspoon of raspberry jam into each indentation. Bake at 350 degrees for 20 minutes until golden brown.